[email protected]: I hope the discovery and eventual recovery of the Argentine submarine San Juan brings needed closure to the wonderful families of those brave missing sailors. I look forward to hearing more from my friend President @MauricioMacri in Argentina later this month. White House announces formal rules for future press conferences: Journalists will ask only 1 question, unless Trump or another official allows a follow-up. Failure to follow this rule may result in suspension of the journalist's press pass. [email protected]: The Fake News is showing old footage of people climbing over our Ocean Area Fence. This is what it really looks like - no climbers anymore under our Administration. 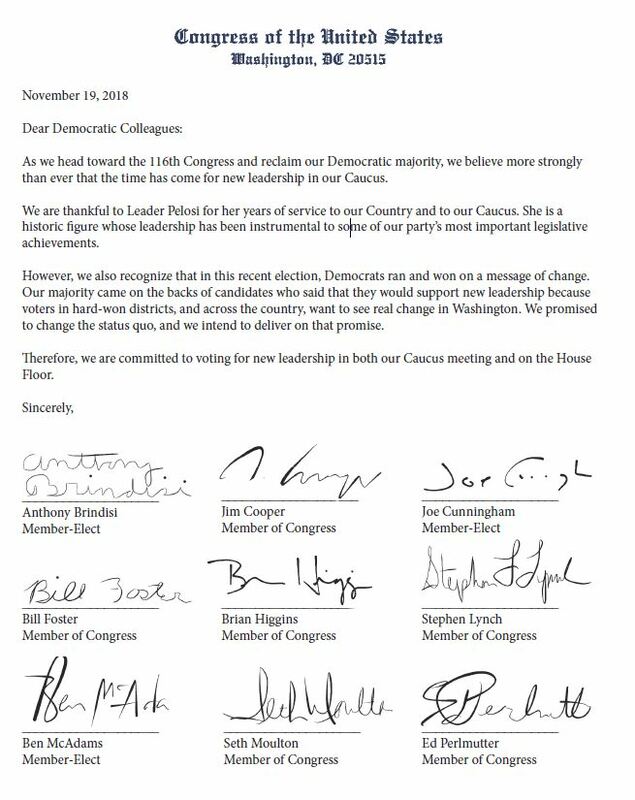 16 House Democrats sign letter thanking Rep. Pelosi for her years of service and leadership, but urge "that the time has come for new leadership in our Caucus." [email protected] proposes vast new export control restrictions on Artificial Intelligence (AI) tech — incl computer vision, natural-language processing. [email protected]: From day one Rick Scott never wavered. He was a great Governor and will be even a greater Senator in representing the People of Florida. Congratulations to Rick on having waged such a courageous and successful campaign. [email protected]: Catch and Release is an obsolete term. It is Catch and Detain. Illegal Immigrants trying to come into the U.S.A., often proudly flying the flag of their nation as they ask for U.S. Asylum, will be detained or turned away. Dems must approve Border Security and Wall NOW. [email protected]: So funny to see little Adam Schitt (D-CA) talking about the fact that Acting Attorney General Matt Whitaker was not approved by the Senate, but not mentioning the fact that Bob Mueller (who is highly conflicted) was not approved by the Senate. [email protected]: I will be interviewed by Chris Wallace on @FoxNews at 2:00 P.M. and 7:00 P.M. Enjoy.